CBS sitcom How I Met Your Mother is less than a week away from its big series finale. Fans are distraught and none more so than Billy Eichner, a man who — lucky for us — isn't exactly known for his stoicism/ability to keep his feelings to himself. 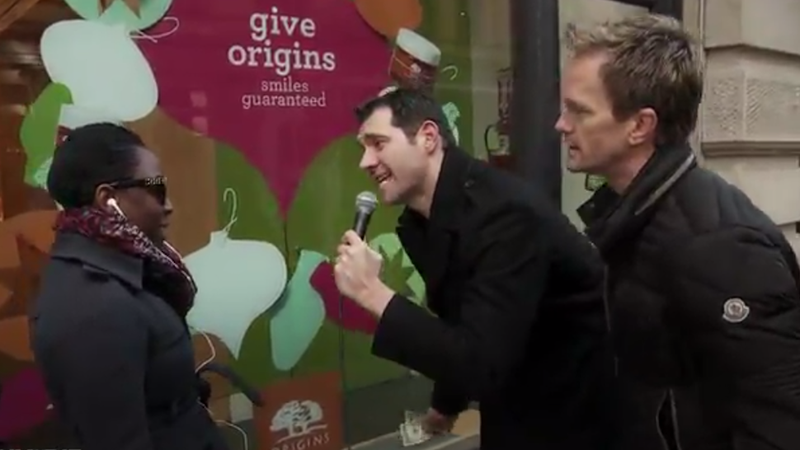 Eichner recently hit the streets of New York alongside HIMYM star Neil Patrick Harris to gauge public interest in the series' conclusion. What he found is that no one is worried about what will happen to Cobie Smulders, people don't recognize NPH when he's standing right in front of them and everyone who doesn't like the show is a homophobe. Fun fact! There's more diversity in this clip than there was in all nine seasons of How I Met Your Mother.